It's Emma Barlowe's twelfth birthday, and ubiquitous bully Jessica Klimer has a surprise of her own planned for Emma that will change her life forever. After suffering for years, Emma has had enough and refuses to let Jessica or the pain she triggered keep her from the life she was meant to live. Elated to have been accepted at U.C. Berkley and out on her own, three thousand miles away from the town that tried to define her, Emma meets bohemian roommate Freesia, who ultimately leads her to the source of her mysterious pain--the roots of which, Emma finds, reach all the way to her soul. 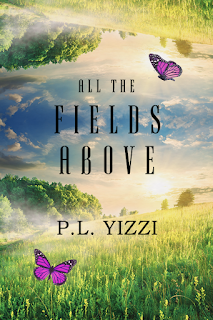 All the Fields Above is available in ebook format on Amazon, Barnes & Noble, and Smashwords for 99-cents.